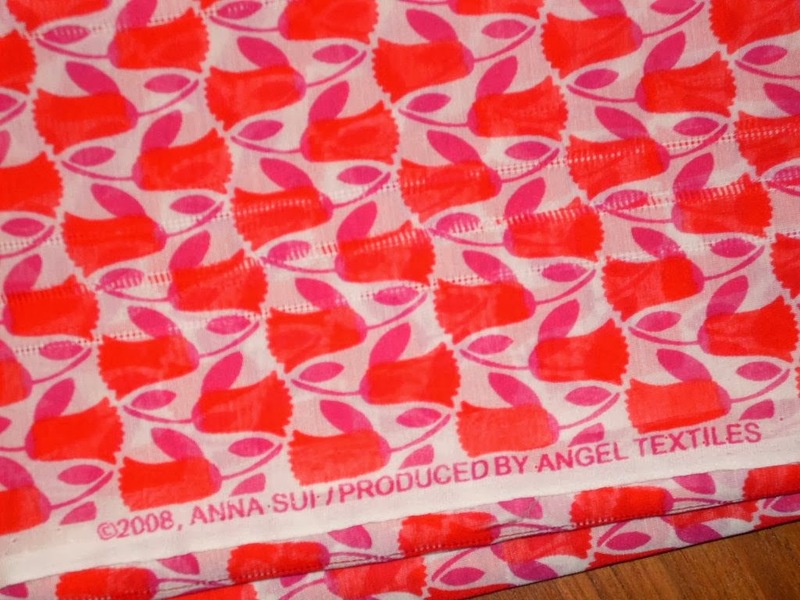 I made a quick stop in to Bolt this afternoon to check out their silk selection and immediately grabbed this tube of tulip print silk from fashion designer Anna Sui. It's slightly sheer and you can barely see that there are three repeating stripes that are woven into the fabric. I haven't decided exactly what I will make yet, but it may be another gathers sleeve blouse! That would be the third one. I already made a second blouse out of the gingham seersucker that I used for my Negroni shirt. Oh yes, I'd have snatched that fabric up too! So cute! Could you use it for a blouse with a ruffle or neck tucks or something? It looks like it has great drape.